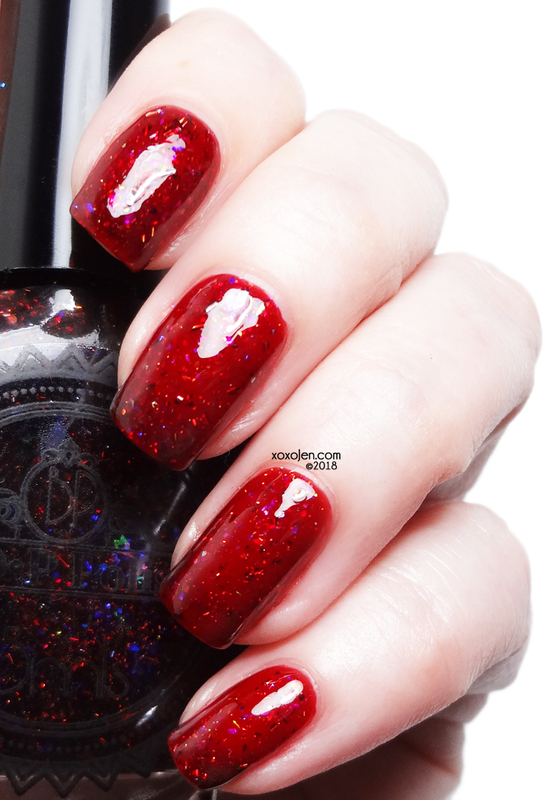 The inspiration photo for this Red Nail Polish Preferred facebook group custom was that of Red Carnival Glass. So naturally, Bianca named the polish Carnival Glass. It’s a dark red jelly, with blue, green, orange, and pink flakies that themselves shift 3 colors each. 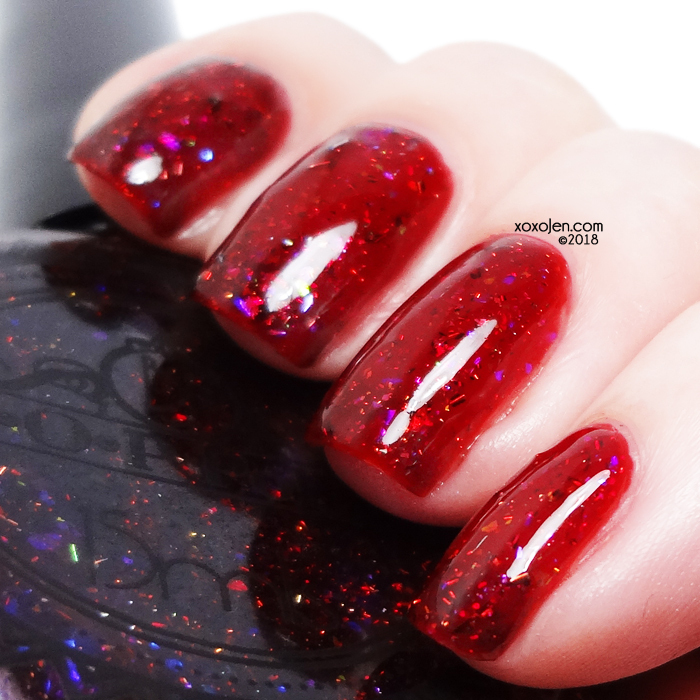 Holo shards and a smattering of iridescent pigment mingle in the squishy jelly base. Two coats shown with Liquid Glass topcoat. No issues to report, application was good. Bianca also sent me her famous Liquid Glass Quick Dry Top Coat which I have used in my swatches for this and some of my next posts. It is super fast drying and glossy. No sheet marks after having only let it dry about 15 minutes before sleeping with it on.